Login information (user ID is an email address). You must login in order to create a team. Team name. Think about a meaningful name because people may join more than one team. Location. This will be used as the default location for all future meetings. If you meet online you can use “online” or the name of the meeting platform. Meeting schedule. The system can start weekly or monthly meetings. You can also select to do it manualy. Team members. Invite others to join the team. Action buttons are green, at the buttom or the right side of the frame. Hyperlinks (blue) are there to lead you to more content. 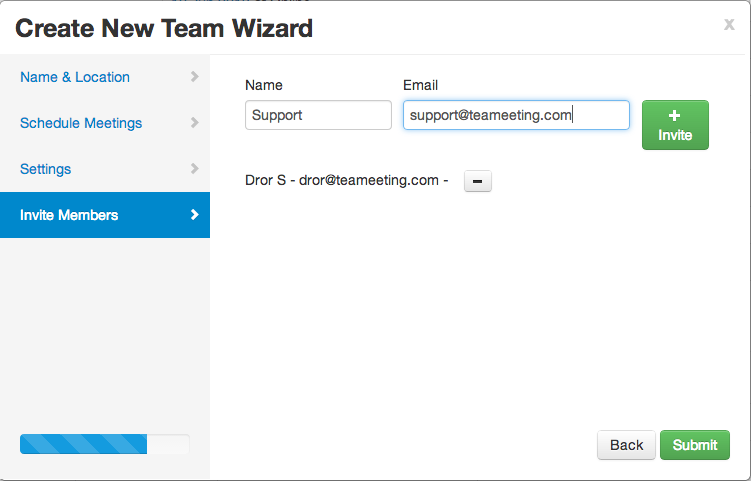 Login to TEAMeeting®. The home page is personalized to your profile. A list of teams (may be empty) shows on the top. Under it, on the right side is the create a new team button.Click on it. 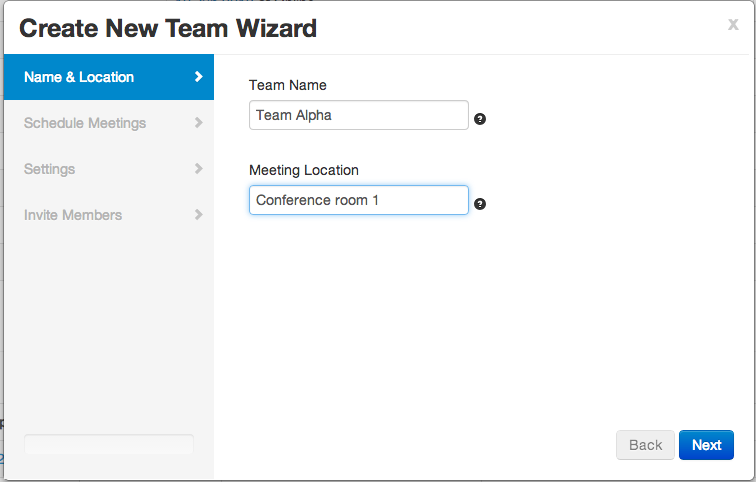 This will start the “Create new team wizard. Enter team’s name and location. Next, Set the schedule. 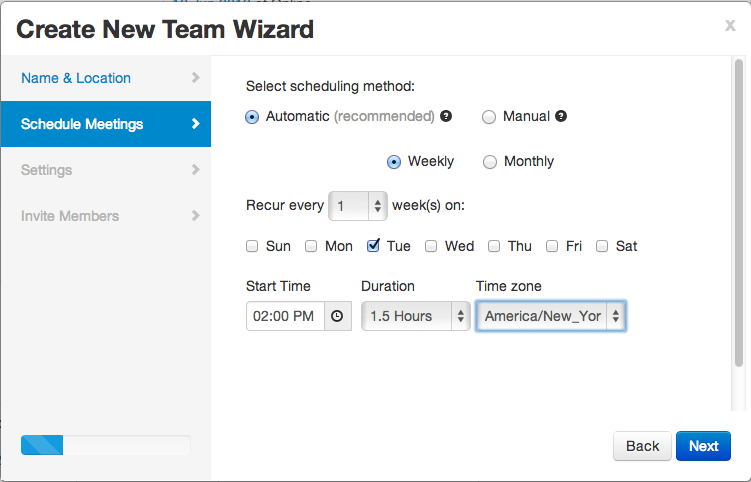 You have a choice between automatic or manual scheduling. 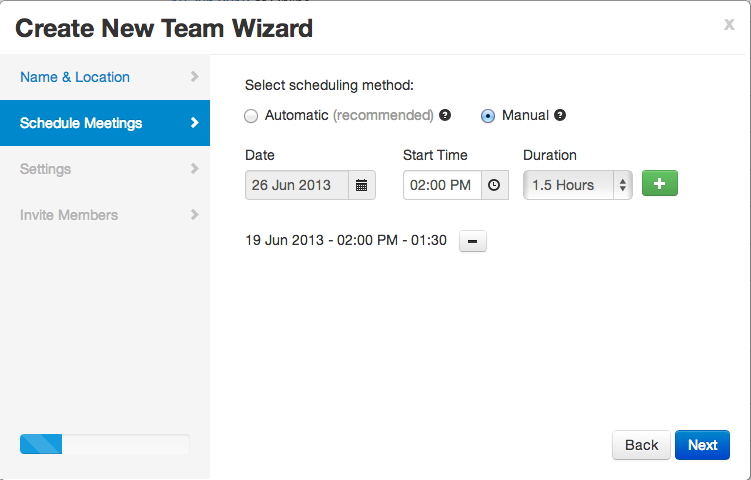 Next, set the permissions for editing and the activation time for the team. 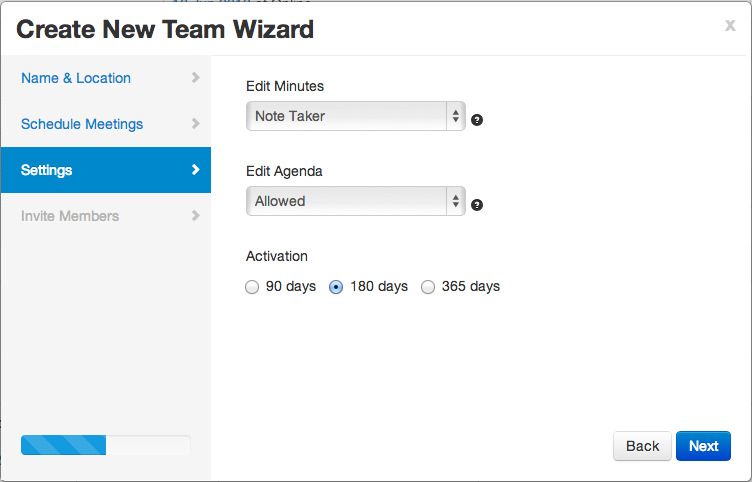 You can allow for editing of minutes of past meetings and the agenda of future meetings. Activation time will schedule meeting based on the policy set in the last step. Finally, Invite members. This step is optional. Look for a confirmation. 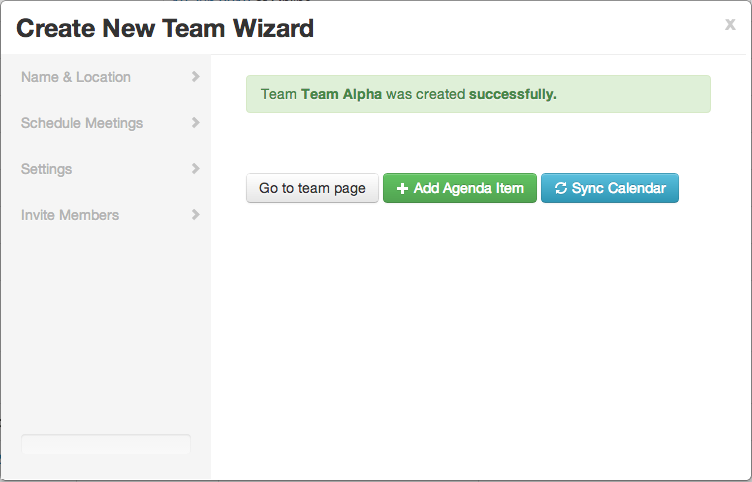 You can now add agenda items, go to team’s page, or sync the schedule with your calendar.